Reader Daniel Sharing: Fr. Paul Adelheim: MEMORY ETERNAL! A Memorial Reminder: About Righteous Truth-Teller & Exposer of the MP: Fr. Paul Adelheim: MEMORY ETERNAL! VECHNAYA PAMYAT! and May He Rest With The Saints! Father Pavel Adelheim was loved by his parishioners in Pskov, north-west Russia. 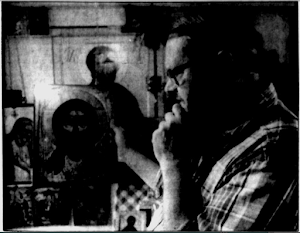 One of the most remarkable Russian Orthodox priests of his generation, Father Pavel Adelheim, who has been killed at his age of 75, was never a "dissident" in the conventional sense of the word. He was a dearly loved parish priest who fell foul of his diocesan bishop because of his unrelenting criticism of the way the Moscow Patriarchal-Russian church hierarchy comported themselves in the post-Soviet era, acting like medieval princes surrounded by a fawning court. Pavel acted bravely even in his childhood. He was born in the port city of Rostov-on-Don. He never knew his father, Anatoli, who perished in Stalin's terror, but learned the faith from his mother, Tatyana. After the second world war – the Great Patriotic War, as the Russians called it – the Russian church saw better times, but this did not prevent the young Pavel from being persecuted at school for his Christian beliefs. After many difficulties, he gained entry to Kiev theological seminary, which had recently reopened, although he was expelled for refusing to sing Soviet patriotic songs during Holy Week. He continued his studies by correspondence course at the Moscow theological seminary. He was ordained priest in 1959 to serve under the fearless Bishop Yermogen in Uzbekistan. The remoteness of the village to which he was sent, Kagan, helped him to conceal the fact that he was building an Orthodox church. When it was consecrated, this was too much for the authorities. 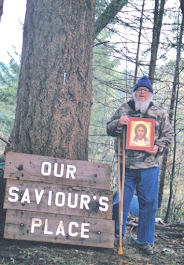 Pavel was imprisoned in 1969 and treated as slave labour in a logging camp. In what may have been a deliberate attempt on his life, a truck ran over him and one of his legs had to be amputated. He managed to study law in the prison library in order to help prisoners with their appeals. On his release in 1973 the authorities hounded him from place to place, but in 1976 he settled in Pskov, north-west Russia. His parishioners quickly came to love him for his dedicated pastoral work, particularly among young people. They also deeply respected the way he celebrated the liturgy, standing for the long hours demanded, making light of his disability. He took every advantage of the freedoms offered by Mikhail Gorbachev's perestroika and the rapid collapse of the Soviet atheist system. The youth work which he inaugurated in two parishes was exemplary in demonstrating the way in which the church could now become socially involved. In one parish, he established a school for 40 children; in another he set up a home for children with special needs. His wife, Vera, whom he had married in 1959, provided constant encouragement. It was my privilege to recommend him to an Anglican parish in Tring, Hertfordshire, which began to support his cause (in the absence of financial help from his own church authorities) and at one time supplied him with a minibus to help transport the children under his care. There was frequent contact in both directions, as a result of which Pavel became well known in Britain. None of this, however, pleased his new diocesan bishop, Metropolitan Evsevi. The two clashed over the nature of the youth work, the foreign support it received and, especially, over Pavel's writings. 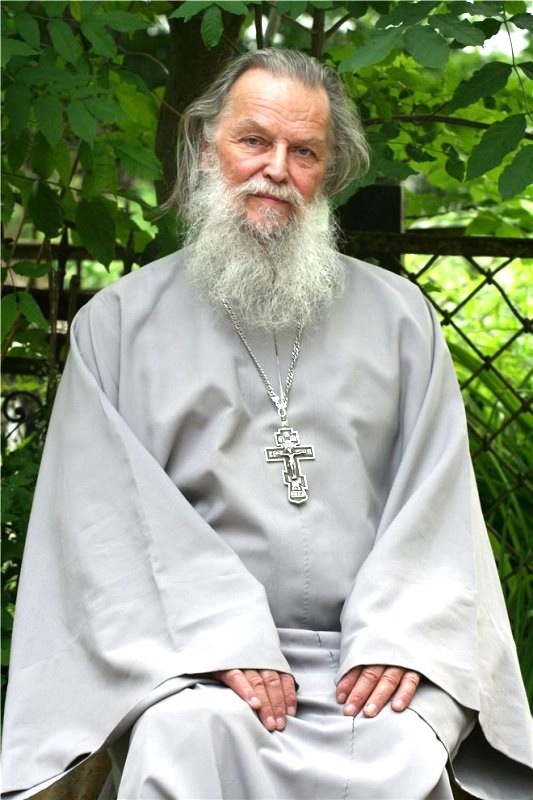 In 2003 he published a book entitled Church Dogma According to the Canons and in Practice, in which he claimed that the whole governance of the Russian Orthodox church was uncanonical. The Metropolitan immediately criticised it strongly, calling it "work of the devil". He removed the priest from his living, demoting him to the role of assistant. His parishioners believed that there was an attempt on his life 10 years ago, when a serious accident resulted from someone having tampered with the brakes of his car. No one was brought to justice for this. Pavel clung on in Pskov, and had recently celebrated his 75th birthday when, as was his wont, he extended hospitality to a disturbed young man, who turned on him and stabbed him, before turning the knife on himself. Pavel is survived by Vera and their three children, Maria and twins Anna and Ivan. • Pavel Adelheim, priest, born 1 August 1938; died 5 August 2013-MEMORY ETERNAL! A re-sharing of the now famous warning from Archpriest Pavel Adelheim, addressed to our old free ROCOR Synod of Bishops, to not submit to, nor to join with his MP- which he was openly planning to leave and to join our continued free-ROCA- no doubt why he was murdered and his mouth shut....on this earth anyway. His enemies cannot touch him in Heaven. MEMORY ETERNAL To Heroic Martyric Fr. Pavel Adelheim, who tried to warn us. Few of us listened to him then. Nostalgia and the promise of reuniting with the "Church in Russia" after its liberation from the Soviet regime torment the Church Abroad. Reasons have accumulated that hasten one to believe that the time has already come. The Soviet regime has played with the feelings of the Russian émigrés many times and each time has won. And they lost brutally and paid dearly for their trustfulness, because their feelings were sincere. The MP ROC [Moscow Patriarchy, Russian Orthodox Church] has always played on the side of the Soviet regime. Not because it loved the Soviet regime, but because it loved power as such, and was flesh of its flesh, as was the whole Soviet nomenclatura. The naïve West understands the "Soviet regime" as an ideological construct, which will end when they rename it. The "Soviet regime" constantly changes its skin—its own and that of its punitive institutions. The West believes that the punitive "Cheka" changed when they called it the "GPU"; that it was reborn when they called it the "NKVD"; that on becoming the "MGB", it became kinder; that when it was called the "KGB", it became humane; and as the "FSB", that it has become completely democratic. Now it is engaged in the work of defending human rights and with philanthropy, and it loves kiddies. In the twinkling of an eye, the CPSU [Communist Party of the Soviet Union] disappeared in the country, as if it never was. Where did the multi-million-member party suddenly go? There never was a CPSU. The CPSU was a myth. Thenomenclatura really existed, which never went anywhere: It was, is and will be, changing its skin, preserving its people and its essence. The term "Soviet regime" expresses the content of social consciousness, which changes slowly—may God grant it—over centuries, under the influence of objective reality. This internal process goes on in our days too; but in it an ethical imperative is absent. It is oriented on the collective, and not on the individual, who is always indebted to the former. We use to sing, "where a man breathes so freely," while half of the country was perishing in the camps. The West was enraptured by our humanism. In Tula, they make samovars. The workers take parts away on the sly. When they assemble them, a machine-gun inevitably results. To us, it is understandable why; but the West does not understand. Many times our emissaries persuaded the émigrés to return. Always successfully. Metropolitan Nikolai (Yarushevich), a sincere patriot and a remarkable preacher, took an active part in these actions. When he was asked, "Vladyka, why do you lie, saying that we have freedom of conscience in our country? ", he would reply, "If your mother were a drunkard, would you shout this to the whole world?" The consequences of the repatriation have been described in the West. Remember the fate of Marina Tsvetayeva, who returned before the war [World War II]. Remember the Cossacks, who were [forcibly] returned after the war. Can you enumerate them all? What else do you need? Facts are not pleasing; people want to have hope. To each his own. 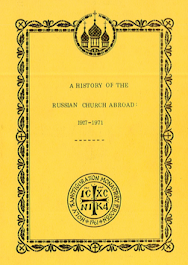 Why has the ROCA [Russian Orthodox Church Abroad or ROCOR—"Outside Russia"] not analyzed the experience of the Orthodox Church’s "non-commemorators" to the MP ROC? These were confessors, who had returned from the camps and from exile, whole generations thrown overboard from Soviet reality. Many of them have now been glorified as new-martyrs. What was their fate? Some did not live to our days, others joined in, others could not. The schism was formally overcome. The confrontation between "Soviet" and "anti-Soviet" consciousness outlived the Soviet regime. Politics has nothing to do with it. The "anti-Soviet" consciousness meant conformism, it justified falsehood and offered up man as a sacrifice. The two vital positions were reflected in worldview, religion, art and science. By 1927, two tendencies in church consciousness had appeared, which defined the interrelation of the church with the state in different ways. The bishops confined in the Solovki Concentration Camp expressed one position in the "Solovki Epistle". The contrary position was set forth in the "Declaration" of Metropolitan Sergius (Stragorodsky). The opposition of the positions was principled, and it pre-determined the split of the Church into "Sergianists" and "non-commemorators". After returning, the "non-commemorators" remained second-class people in secondary roles. Archbishop Hermogen (Golubev) gave his heart and all his strength to the MP ROC. He finished his life in confinement, deprived of the divine services and freedom. People had deceived him, locked him up until the end of his days in the Zhirovitsky Monastery and did not respond to his appeals. The West also did not understand what happened in London. The 1988 Charter of the MP ROC allowed Metropolitan Anthony (Bloom) to amend the Charter of Surozh (British) Diocese on condition that it be confirmed by Moscow. The Charter was never confirmed. Bishop Basil (Osborne) became convinced that Metropolitan Anthony’s hopes would not be realized, and he departed to Constantinople. The "Act of Canonical Communion" has been constructed on the principle of the Russian expression "yes and at the same time—no"—"I allow it, but I forbid it." One point contradicts another and requires additional explanations; for example, the third contradicts the ninth. The eleventh and twelfth points annul the sense of the tenth. This is a direct repetition of the London history. Moscow confirms the election of the First Hierarch and of each hierarch and the establishment of dioceses. And what happens if Moscow does not confirm? A coordination or grievance procedure has not been stipulated, so Moscow will make the final decision concerning the appointments. Can an abbreviated outline, where nothing is agreed upon, possibly become the legal basis for the existence the ROCA under new conditions? These are completely uncharted areas that provoke arbitrariness. The declaration concerning independence is not defended by any mechanism and remains an empty pretense. What a kindergarten! Could they not find a competent legal expert? Have the professors of cannon law died out? The law always defends the weak. Everything that is not written in the law, the powerful will interpret to their advantage when the time comes. Зарубежную Церковь томит ностальгия и обещание воссоединиться с "Церковью в России" по освобождении от советской власти. Накопились причины, которые торопят верить, что время уже пришло. Чувствами русских эмигрантов советская власть играла много раз и каждый раз выигрывала. А они жестоко проигрывали и дорого платили за доверчивость, потому что чувства их были искренними. РПЦ МП всегда играла на стороне советской власти. Не потому, что любила советскую власть, а потому, что любила власть как таковую, и была плотью от её плоти, как вся советская номенклатура. Наивный Запад понимает "советскую власть" в качестве идеологической структуры, которая закончится, когда её переименуют. "Советская власть" постоянно меняет кожу: свою собственную и карательных институтов. Запад верит, что карательный "ЧК" изменился, когда его назвали "НКВД", переродился, когда назвали "ГПУ", подобрел, став "МГБ", гуманизировался, назвавшись "КГБ", и совсем одемократился в "ФСБ". Теперь она занимается правозащитной деятельностью, благотворительностью и любит деток. В мгновение ока исчезла в стране КПСС, словно её не было. Куда вдруг делась многомиллионная партия? КПСС никогда не было. Был миф про КПСС. Реально существовала номенклатура, которая никуда не делась: была, есть и будет, меняя кожу, сохраняя своих людей и свою сущность. "Советская власть" выражает содержание общественного сознания, которое меняется медленно – дай Бог, столетиями, под воздействием объективной реальности. Внутренний процесс идёт и в наши дни, но в нём отсутствует этический императив. Он ориентирован на коллектив, а не на личность, которая всегда в долгу. Мы пели "где так вольно дышит человек", когда полстраны погибало в лагерях. Запад восхищался нашим гуманизмом. В Туле делают самовары. Рабочие тайком выносят детали. Когда соберут, неизбежно получается пулемёт. Нам понятно почему, а Запад не понимает. Наши эмиссары много раз уговаривали эмигрантов вернуться. Всегда успешно. Митрополит Николай (Ярушевич), искренний патриот и замечательный проповедник, принимал деятельное участие в этих акциях. Когда его спрашивали "Владыка, зачем Вы лжёте, что у нас в стране свобода совести? ", он отвечал: "Если ваша мать пьяница, вы будете об этом кричать на весь мир?" Последствия репатриации описаны на Западе. Вспомните судьбу Марины Цветаевой, вернувшейся до войны. Вспомните казачество, возвращённое после войны. Да разве всех перечислишь?! Чего ещё надо? Факты не нравятся, хотят надеяться. Вольному – воля. Почему бы РПЦЗ не проанализировать опыт возвращения в РПЦ МП православной Церкви "непоминающих"? Это были исповедники, вернувшиеся из лагерей, ссылок, целые поколения, выброшенные за борт советской действительности. Многие из них теперь прославлены как новомученики. Как сложились их судьбы? Одни не дожили до наших дней, другие вписались, третьи не сумели. Раскол преодолён формально. Противостояние "советского" и "антисоветского" сознания пережило советскую власть. Политика была ни при чём. "Антисоветское" сознание выражало верность христианским идеалам, отказ от лжи, ориентацию на человека. "Советское" сознание означало конформизм, оправдывало ложь, приносило человека в жертву. Две жизненные позиции отразились в мировоззрении, религии, искусстве и науке. К 1927 году выявились два направления церковного сознания, по-разному определившие взаимоотношения Церкви с государством. Одну позицию высказали в "Соловецком послании" епископы, заключённые в Соловецком концлагере. Противоположная позиция изложена в "Декларации" митрополита Сергия (Страгородского). Противостояние позиций было принципиальным и предопределило раскол Церкви на "сергиан" и "непоминающих". Вернувшись, "непоминающие" остались людьми второго сорта на вторых ролях. Архиепископ Ермоген (Голубев) отдал РПЦ МП своё сердце и все силы. Он закончил жизнь в заточении, лишённый богослужения и свободы. Кто его обманул, запер до конца дней в Жировицком монастыре и не отвечал на его обращения? Запад не понял, что случилось в Лондоне? Устав РПЦ МП 1988 г. позволял митрополиту Антонию (Блуму) скорректировать Устав для Сурожской епархии при условии утверждения Москвой. Устав остался не утверждённым. Епископ Василий (Осборн) убедился, что надежды митрополита Антония не сбылись, и ушёл в Константинополь. "Акт о каноническом общении" построен по принципу русского выражения "да нет": "Разрешаю, но запрещаю". Один пункт противоречит другому и требует дополнительных объяснений, например, третий девятому. Одиннадцатый и двенадцатый пункты уничтожают смысл десятого. Прямое повторение лондонской истории. Избрание Предстоятеля и каждого архиерея, учреждение епархий утверждает Москва. А как быть, если не утвердит? Процедура согласования не предусмотрена, и решение о назначении примет Москва. Неужели куцая схема, где ничего не договорено, может стать правовой основой для существования РПЦЗ(Л) в новых условиях? Сплошь белые пятна, провоцирующие произвол. Заявление на самостоятельность не защищено механизмом и останется пустой претензией. Что за детский сад! Не смогли найти грамотного юриста? Вымерли профессора канонического права? Право всегда защищает слабых. Всё, что не прописано в праве, сильные истолкуют в свою пользу, когда придёт время.